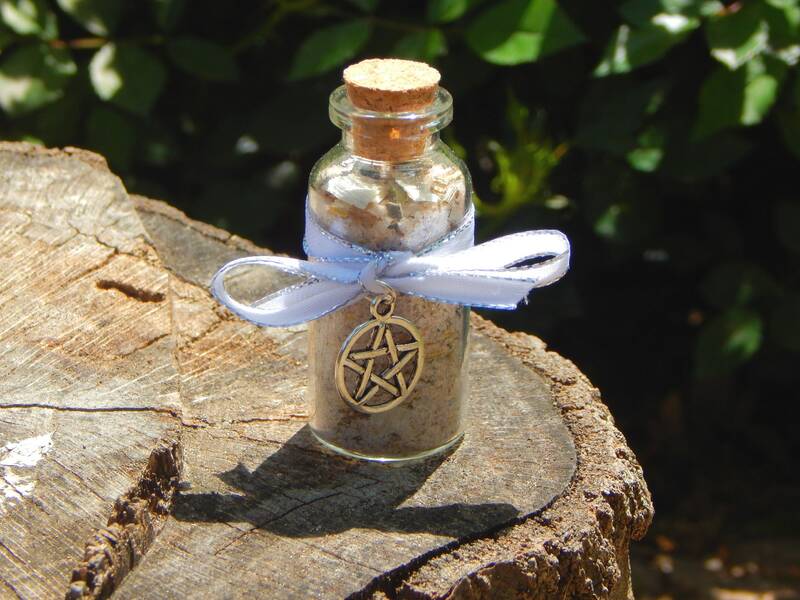 A lovely glass curio bottle of my ultra protection blend salts, hand crafted and made to order by Astrelle. This blend is, as always, infused with energy and made in the old ways with my own modern twists. 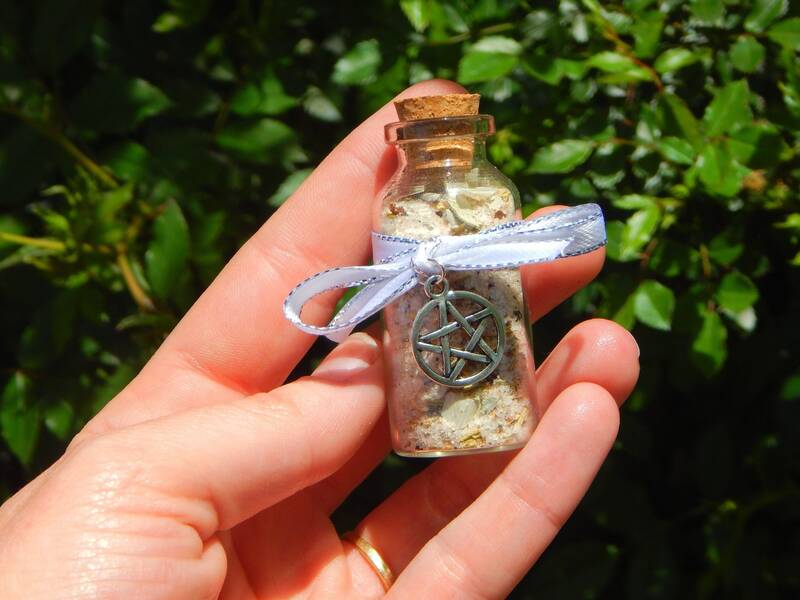 This corked bottle contains 20 ml of my herbal salt blend and measures approximately 2.5 inches tall by '.75 wide with included cork. 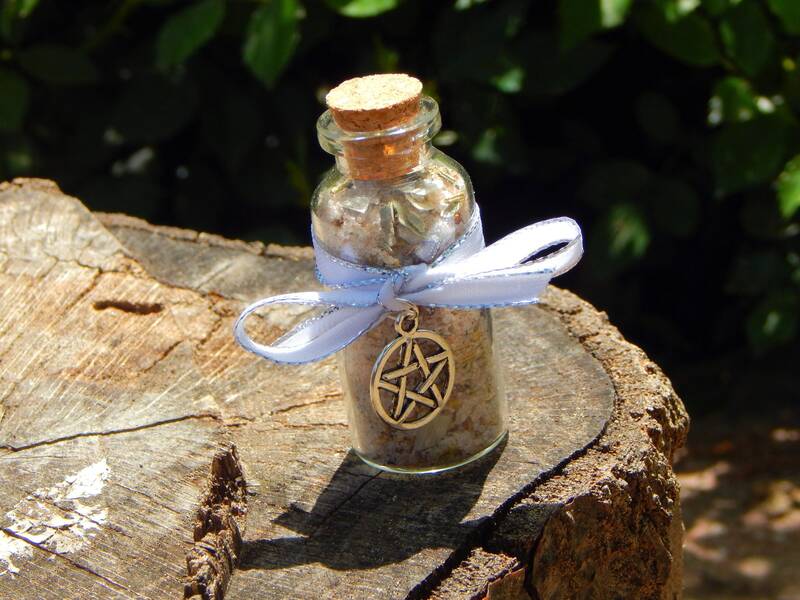 It is finished with your choice of a white or black silver edge ribbon and a small pentacle charm. 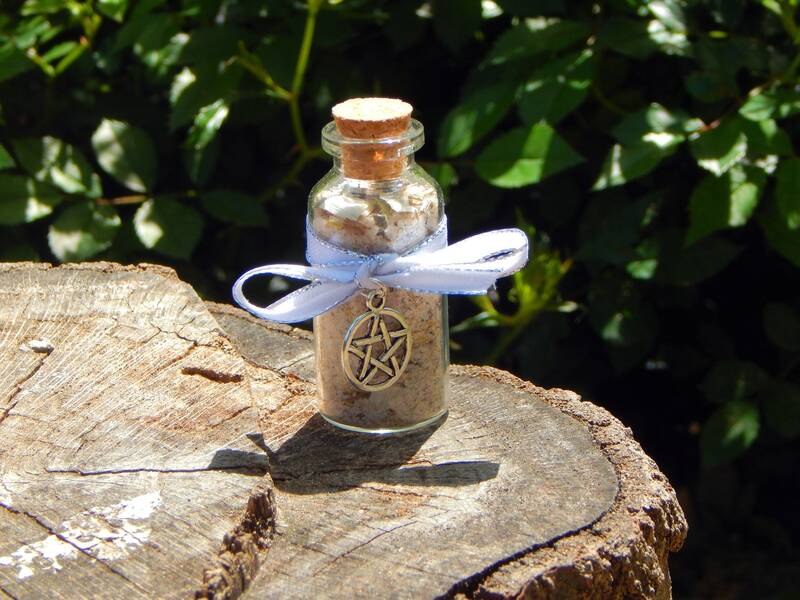 I will also package this item with suggestions for the use, which include personal protection, home clearing and making barriers for ritual spaces and the home. Avoid contact with eyes, am my herbal blend contains garlic, sage, red and black pepper, as well as filings from my cauldron mixed with 10 other herbs in a natural dead sea salt and Himalayan salt blend.